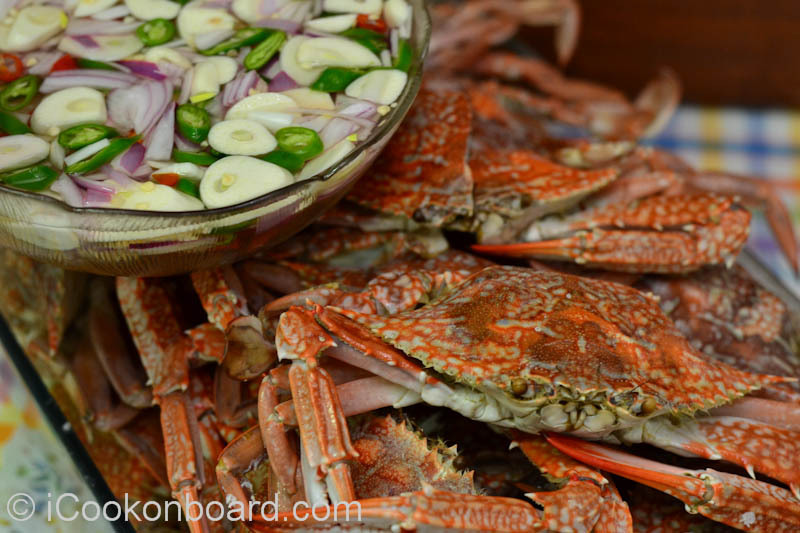 Steamed Blue Crabs is a very simple dish that every cook onboard will surely love. 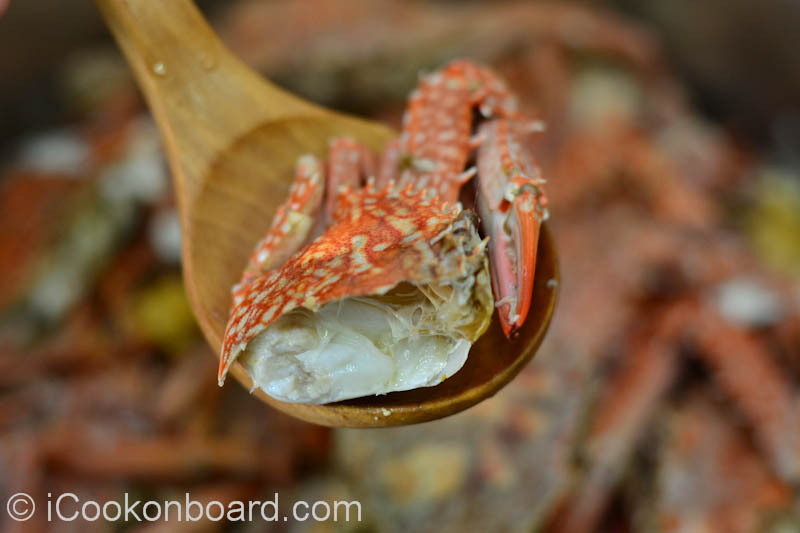 Working as a cook onboard requires a lot of skill and experience, seafood dishes such as prawns, mussels, lobsters and crabs are perfect to serve on those days that you’re expecting provisions to come onboard. With not much effort needed to prepare the dish, you’ll have enough strenght and time for other special task. And one thing for sure after a long and tiring day of heavy lifting of provision and stores received, your crew will thank you for such a nice meal to feast on. sexual dimorphism in the shape of the abdomen (known as the “apron”). It is long and slender in males, but wide and rounded in mature females. while the female’s resembles the dome of the United States Capitol. 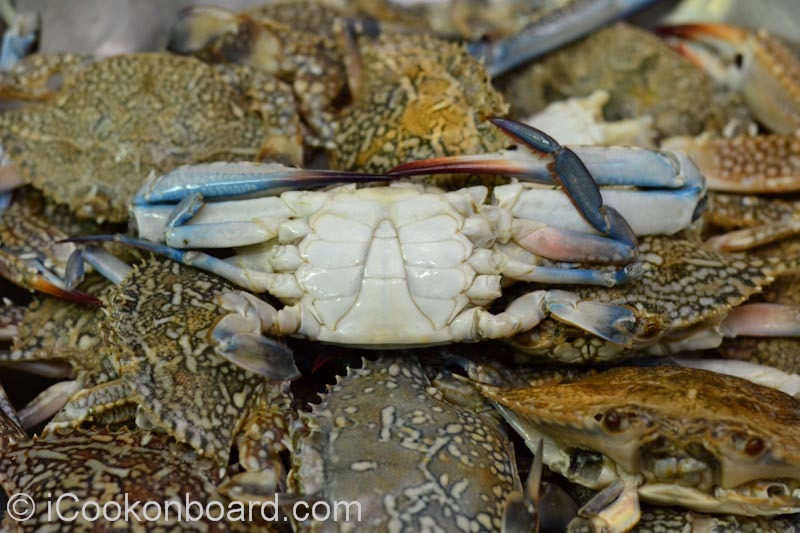 Male Blue Crabs has a long and slender shape of the abdomen. 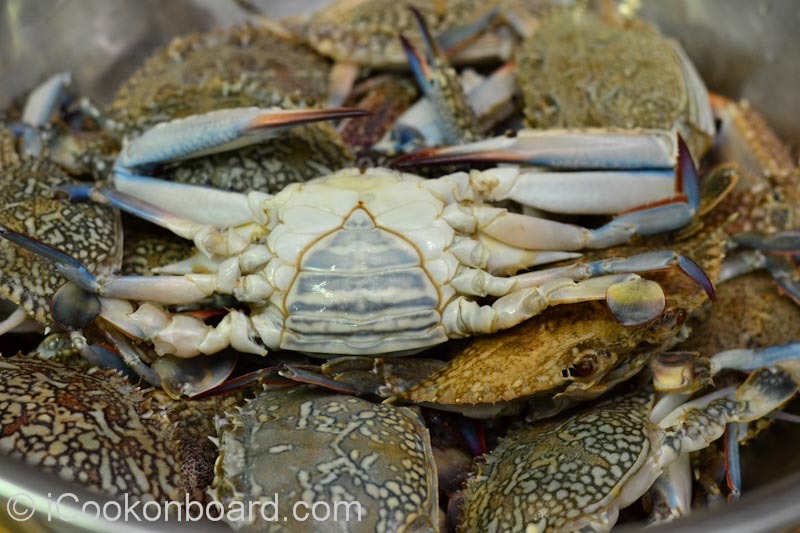 Female Blue Crabs have a wide and rounded shape of the abdomen. astaxanthin, to form a greenish-blue coloration. or a hot pink color. On a large cooking pot, put half of the sea salt. 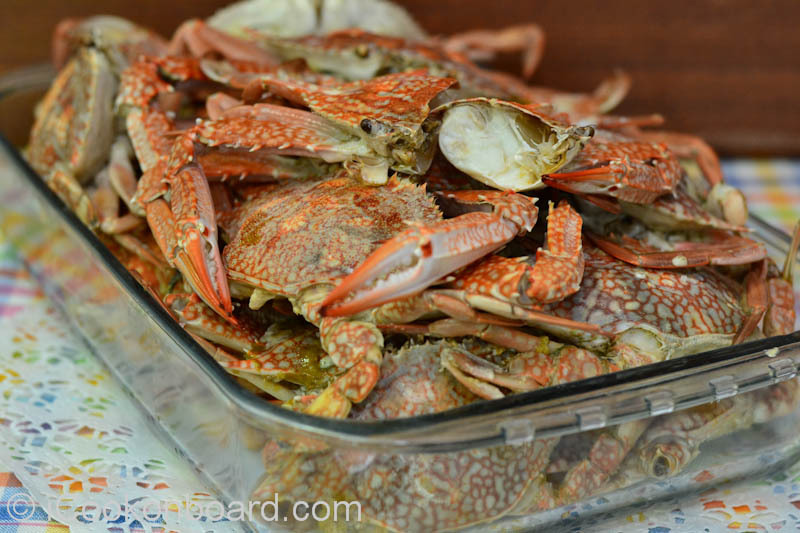 Arrange the cleaned Blue Crabs. Add the remaining 1/2 tablespoon sea salt. Pour in the water. Place cooking pot on a very high heat, cover with lid. Crabs will be cooked on the steaming water and from it’s own juice for 8 minutes. 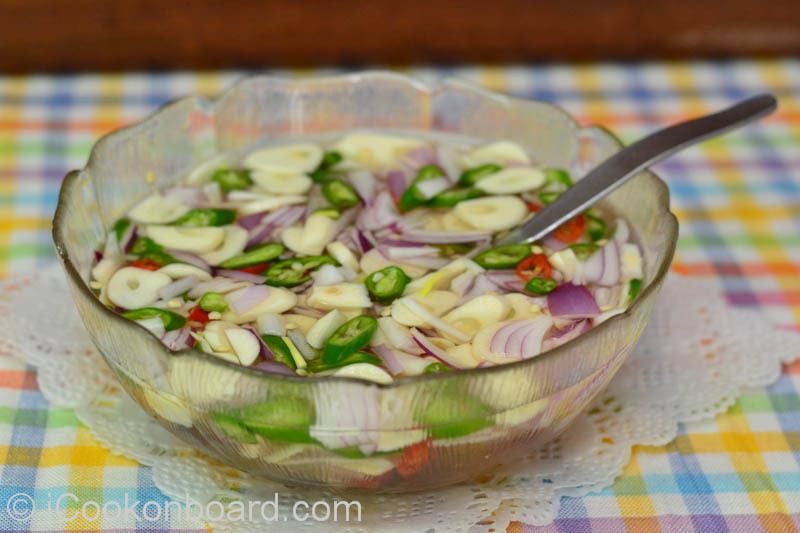 Prepare the Chilli Vinegar Dip while the Blue Crabs are steaming. 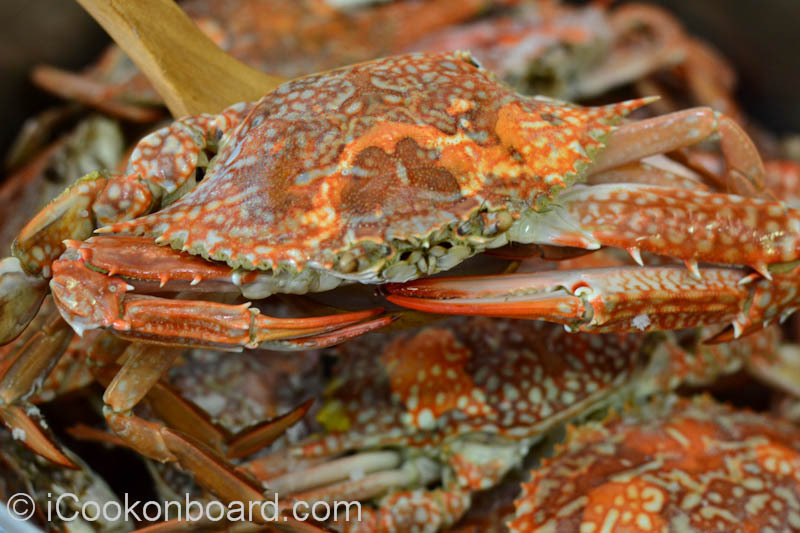 encourage you to try steaming some fresh Blue Crabs. Next Are Pre-cut Onions Poisonous? Thanks Diahann for your encouragement!